Most smart and hybrid watches put their smarts in the actual watch, hiding the processors and heart-rate sensors behind a digital or analog watch face. The straps are the dumb things, just clinging onto your wrist for dear life. That's not the case with the Roxford. Launching on Indiegogo today, the Roxford is a hybrid that's decided to put all its brains into the strap. 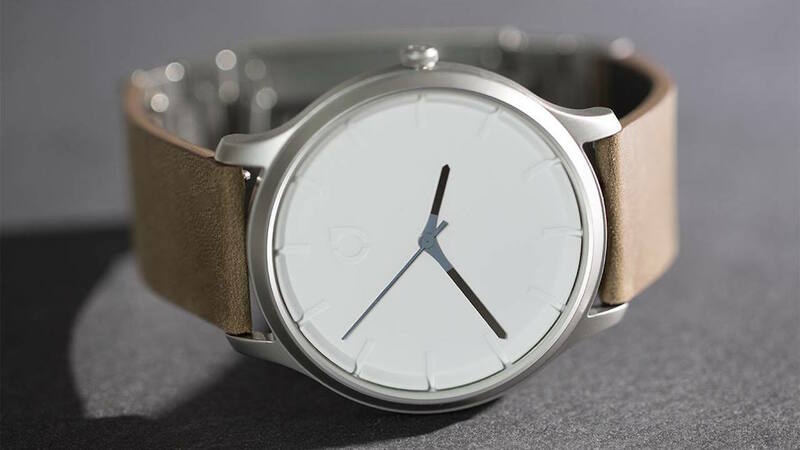 This allows for two things: a minimalist and thin watch face and some more balanced weight distribution on your wrist, since the watch strap looks pretty large and bulky. The strap can track your steps, calories, distance and sleep. It also has gesture controls, so a quick two-finger tap can change the song you're listening to on your phone. There are three different types of bands: leather, silicone and steel. However, these bands are also a little more unique compared to other swappable bands. They don't just connect to the watch face, they have to also connect to the fitness tracker on the other side. It gives the band more of a hybrid, Frankenstein look since there's metal on the top and bottom of your wrist and two pieces of leather or silicone connecting them both. If you're not in the mood for some time telling, there's also a fourth strap that just allows you to use the fitness tracker part of the Roxford package. It's a silicone wrap-around band that basically turns the fitness tracker into something like a Fitbit or Misfit. There are five styles for men in a 44mm case: silver, gun black, gold and coffee rose gold. There are four styles for women in a 38mm case: rose gold, rose gold black edition, silver and gold. Backing the project for $184 will get you the Roxford watch, all four straps and a neat travel case that can store all your Roxford accessories in one place. The plan is to begin shipping them in November of this year.